They say a dog’s head tilt is a dog lover’s kryptonite. And we completely agree with that! There’s nothing cuter than a dog or puppy tilting his/her head! That look of adorable confusion is simply irresistible! 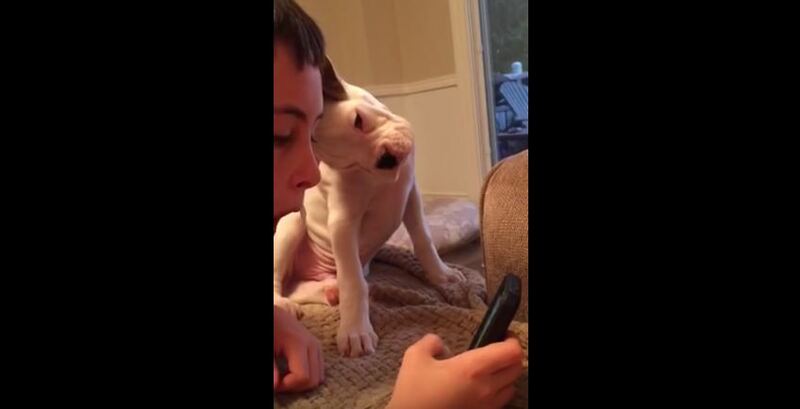 Now this cute Boxer pup named Olaf is sitting beside his human who seems to be busy playing with his phone. And when Olaf hears a strange sound coming from the phone, he tilts his adorable head! Watch the video below!